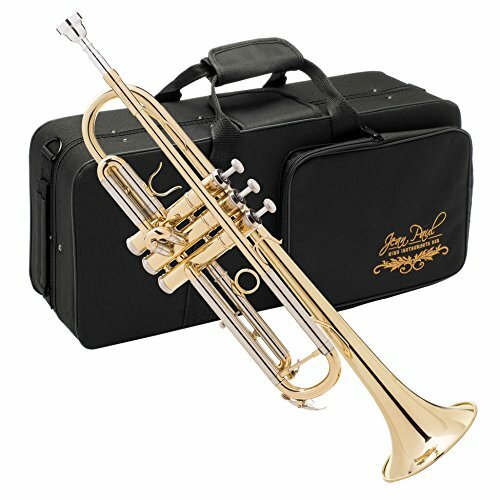 The Jean Paul USA trumpet offers students an opportunity to learn a band instrument at an affordable price. The TR-330 trumpet provides a generous bore that makes playing easy and helps beginning band students hit notes accurately. The rose brass lead pipe construction helps produce warm tones that are well centered. The same lead pipe and bell also contribute to great sound projection so you'll be heard when you're performing in the school band practice room or outside in the marching band. Hey guys back again with another instrument review this time for a Jean Paul Trumpet. This one cost around $179 w/free shipping.